The European Commission has today announced it will delay the application date of the Insurance-Based Investment Products (Priips) regulation until 1 January 2018. This follows on the decision of the European Parliament to reject the secondary legislation Regulatory Technical Standards (RTS) on the Priips Key Information Document (Kid), as reported, in September. At the end of last month, as reported, it was suggested that a 12 month delay was imminent although the European Commission refused to comment at the time. A decision on Priips was originally set for a final debate in the European Commission following the landmark decision by MEPs to overturn recommendations for implementation, as reported, with the discussion taking place yesterday. The decision to delay the launch of Priips until New Year’s Day 2018, as was previously expected, was officially taken by the European College of Commissioners yesterday and has been confirmed today. Association of British Insurers (ABI), director of regulation, Hugh Savill said that the ABI is pleased with the announcement to delay the implementation of the PRIIPs regulation by one year. “This will give insurers the much needed time to implement the complex requirements,” said Savill. “The ABI has continuously engaged with EU and UK policymakers on this and we welcome that they have recognised the need for a delay. Paul Stanfield, pictured left, chief executive of European IFA professional body Feifa and secretary general of Fecif, said: “As I, and many other relevant stakeholders, had hoped, common sense seems to have prevailed. Whilst Priips is very necessary and relevant regulation, the proposed implementation was potentially counter-productive for consumers, and completely unworkable in some scenarios. “Hopefully a sensible and meaningful dialogue will now ensue and we can reach a solution that is in line with the original intentions,” he said. 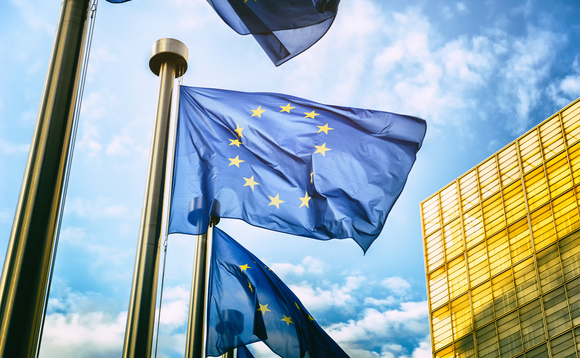 Priips has been debated widely across the last 12 months and saw a landmark overturn vote by the European Commission relating the the proposition’s Kid documentation that may observers were calling misleading amid concerns of a future miss-selling scandal. Responses to the news have generally been favourable because of the previous concerns expressed by the industry over the proposed timelines for implementing the new regulations. The decision was also backed by European Investment Funds Association Efama, which stated: “There is only one reason why we considered a delay absolutely essential, and this is because it is materially impossible and simply unrealistic for product manufacturers and distributors to meet the original 31 December 2016 deadline. A postponement therefore proved necessary and will now materialise in a more realistic timetable to comply with the Regulation. Our commitment to the PRIIPs project remains intact, and this delay will allow companies to appropriately implement the new rules. Equally important is the fact that this postponement will also ensure more time is available for solutions to be found on the revised RTSs. Allowing past performance, and fixing the misleading methodology of transaction costs must absolutely be addressed. This remains a crucial part of ensuring the KIDs’ success” the organisation stressed.